Lean manufacturing, new technology and training methods, and a dose of innovation are helping these woodworking manufacturers optimize productivity and grow their business. What follows are some of the methods put in place by the 2018 WOOD 100 class, which includes cabinet manufacturers, residential and office furniture producers, architectural woodworkers, wood component manufacturers, closet companies and more. 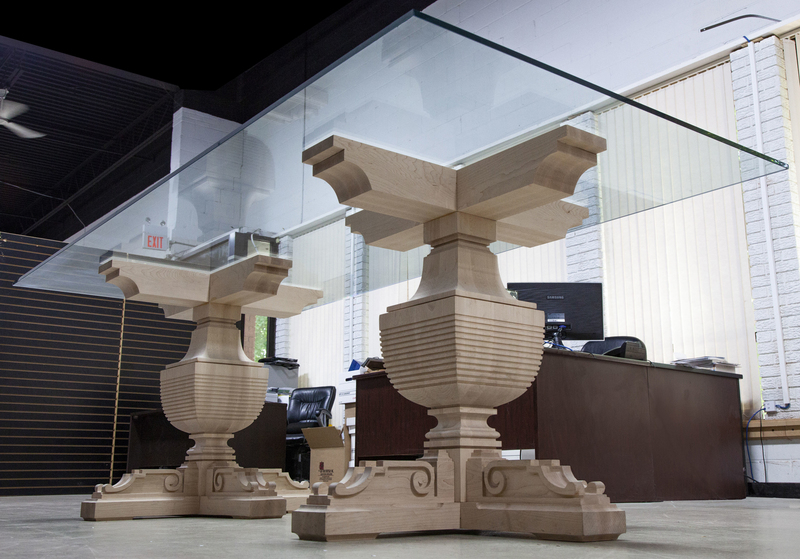 Decore-ative Specialties, Monrovia, CA — “Expanding on our 2016 WMIA Wooden Globe Award for Innovator of the Year, we purchased additional custom Bacci CNC machines that perfectly square, shape and sand cabinet doors in a single operation,” said Joel Boyles, vice president of sales, marketing & customer service. 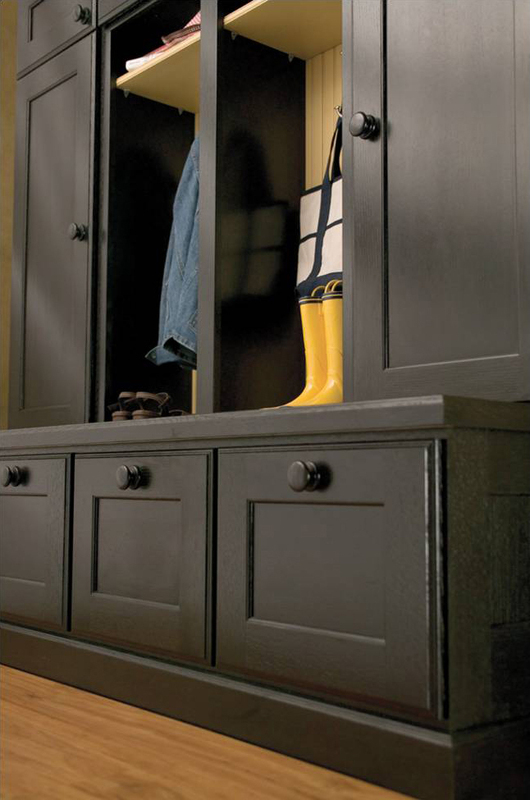 Decore-ative Specialties provides custom cabinet components to a variety of industries. 2017 sales grew 6.4%. Decore also continues to expand its offerings, and has received a U.S. patent for its new composite core door style, the Elk Grove Design (Patent No. 9,845,637). AllRout Inc., Zeeland, MI — A custom CNC routing jobshop, AllRout’s 2017 sales grew 30.3% in part due to the company’s ability to reduce delivery times, said Jeff Robinson, president. “We are currently doubling the size of our manufacturing space. This is allowing us to add more CNC machines,” Robinson said. “Along with that, we are adding additional team members to help keep up with the workflow. To aid production, AllRout recently added a high-speed Datron CNC router/mill to its lineup. “This machine is very unique and not many people have such a machine in our industry. This sets us apart from others,” he added. Dura Supreme, Howard Lake, MN — Dura Supreme Cabinetry specializes in semi-custom and custom cabinetry, as well as products for home organization. “From its start in a garage to the 220,000-square-foot manufacturing facility it is today, Dura Supreme Cabinetry has maintained a history of blending old world craftsmanship with the latest in technology,” said Mandi Juskiewicz, marketing communications. “This history has allowed us to continuously adjust to ever-changing marketing demands. 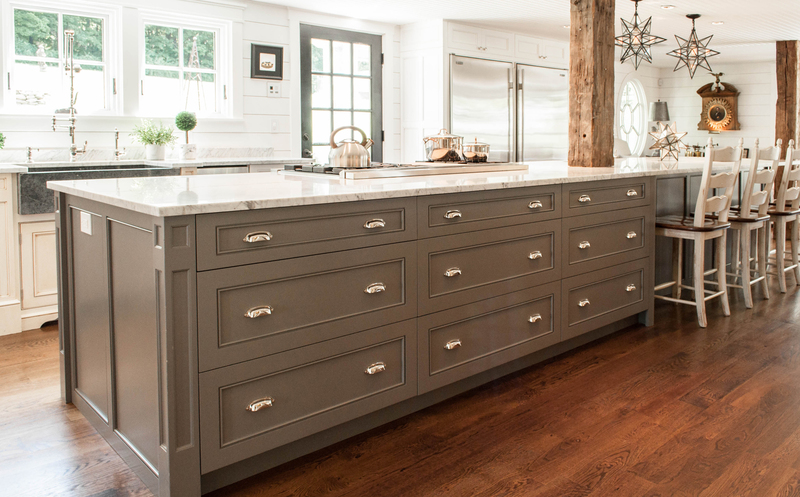 By steadily updating our processes through incorporating proven technologies, we’ve managed to continually improve our quality, consistency, and production speeds while at the same time never sacrificing the true handcrafted aspects that our cabinetry is known for,” she added. The firm won a 2018 WMIA Wooden Globe Award for Manufacturing Excellence through Technology. 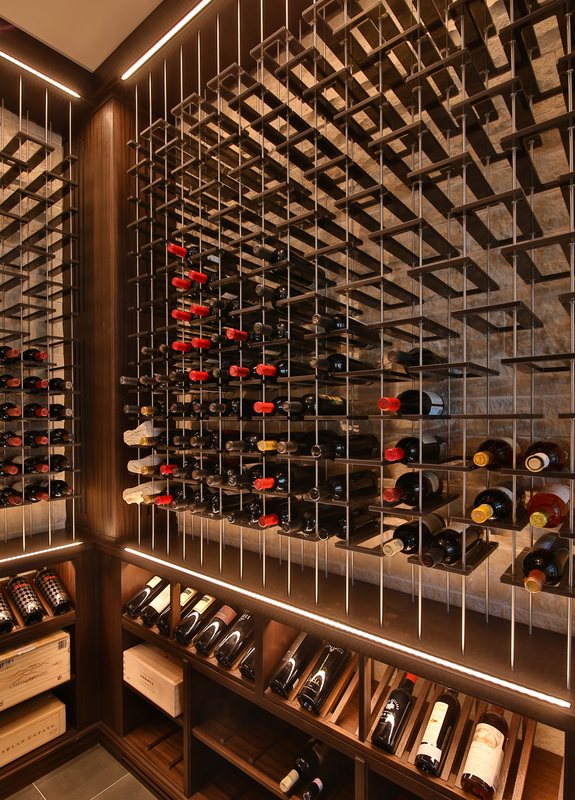 “Dura Supreme Cabinetry recognizes the continued investment into technology is imperative to stay competitive in today’s market,” Juskiewicz said. Art for Everyday Inc. Toronto, ON — CEO Manoo Mahmoodi attributes the architectural component manufacturer’s successful year to new product development along with reduced delivery times. 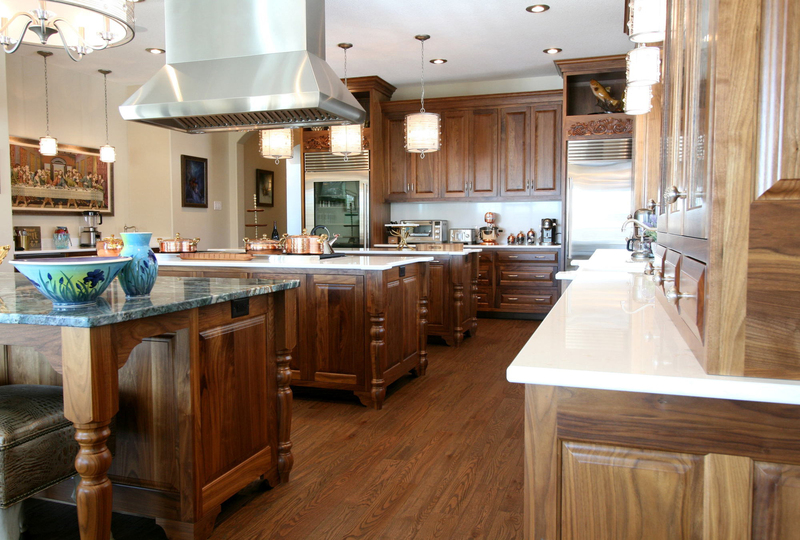 At the 50,000 -square-foot facility, the company combines the latest woodcarving technology with handcraftsmanship to manufacture the high-quality carvings from premium North American hardwoods. To aid in production, it recently invested in manufacturing and project management software, Mahmoodi said. “Our staff is passionate about the blend of art and architecture that encompasses all our products. This, we demonstrate through our dedication to quality, our continuous innovation and our desire to facilitate our clients to evolve their own designs into truly special arrangements,” the company said. The custom cabinetry manufacturer’s 2017 sales grew 7.0%, and 2018 looks to be even better, said Derek Centorbi, president. 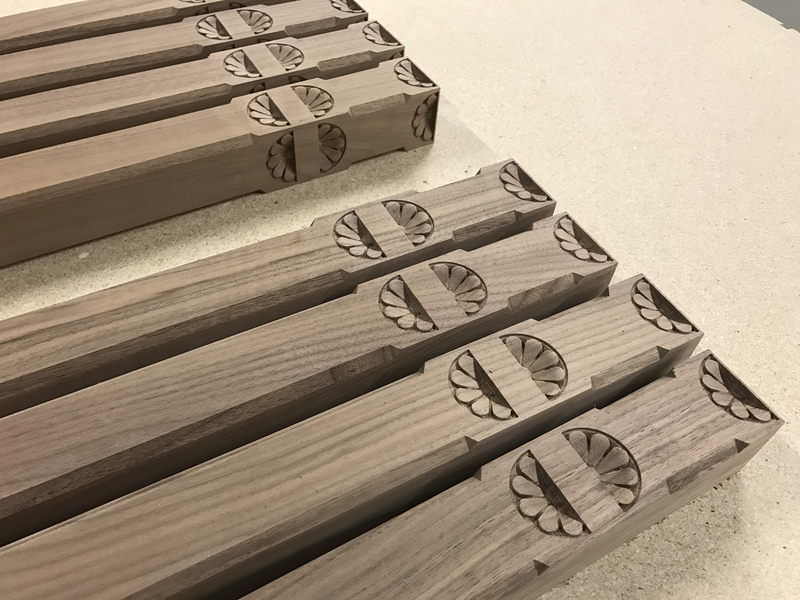 Centorbi added a new production manager, along with new production methods, including Lockdowel construction, and also purchased a nested-based CNC router. It also increased its outsourcing. “We streamlined our production process into more lean thinking and reduced our cycle time per build,” said Jesse Cline, owner. New technology included a horizontal borer and upgrades to the CNC machinery. 2017 sales at the cabinetry firm grew 12.4%. 2017 sales at the furniture and casework firm grew 14.8%. “We Implemented standard operating procedures as well as a fully integrated CAD/CAM/ERP system,” said Christopher Agate, director of design and engineering. Technology investments included a contour edgebander, Black Bros. laminating line and a CNC router. The cabinetry firm continues to improve its manufacturing, said Samuel Schor, vice president. “We made sure that anything that leaves the facility leaves no holes for a complaint in quality. If it is not perfect we reject it.” 2017 sales grew 6.7%. “Over the last several years, Canyon Creek has invested a significant amount of time and money into the manufacturing operations and new equipment to improve capacity and capability,” including CNC routers, saws and an edgebander, said Cindy Draper, marketing manager. “We also invested a significant amount in new talent.” Canyon Creek produces Cornerstone premium framed cabinets, Millennia premium frameless cabinets, Katana value frameless cabinets and Canyon Creek Closets Plus home organization. 2017 sales grew about 1.7%. 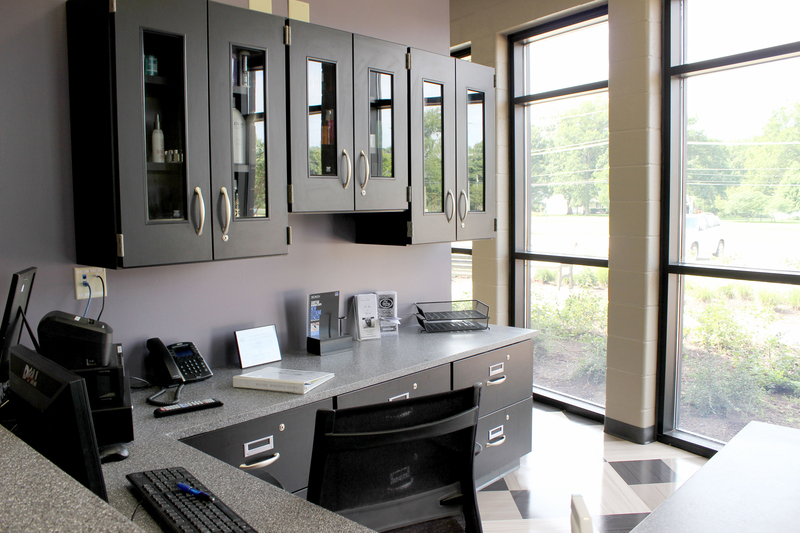 Sales continue to grow at the cabinetry and stone countertop fabricator, which is increasing productivity and expanding its plant from 84,000 to 145,000 square feet, said Samantha Elfland, marketing director. “We have continued to focus on standard operating procedures, in addition to focusing on scheduling, capital reinvestment and our people, said Jed Richard, vice president at the custom cabinet firm. 2017 sales grew 5.5%, and the future looks to be good too, with increased productivity from new CNC routers, edgebander, case clamp, beam saw, drum sander and dowel inserter. The cabinetmaker has focused on “Standardizing manufacturing and installation procedures to ensure high quality results every time on the first try,” said John McGinnis, president. Also a priority, “job costing each project so that we can see which types of jobs are most profitable and focus on obtaining only those projects.” 2017 sales grew 24.9%, with expectations also good for 2018 and 2019. “We revised our internal production procedures to increase workflow. We also changed the estimators and increased the number of proposals submitted,” said Jarold Stump, vice president. The architectural millwork and paneling firm also invested in a Wood-Mizer saw, panel saw and widebelt sander. 2017 sales grew 18.6%. The company increased production of its commercial and residential cabinetry and cut-to-size parts for other shops, said Bart Duran, owner. 2017 sales grew 1.9%. 2017 sales at the cabinetry and components firm grew 30.0% due to increased productivity, said Dan DeWalt, owner. “We combine a perfect blend of employee and subcontracted work.” The company also invested in an in-house kiln and sawmill. Improved organization of projects with 30 or more items has helped the custom millwork and cabinetry firm grow 9.5% in 2017, said Rick Rammos, owner/president. 2017 sales at the architectural door and profile wrapped components specialist grew 10.4%, with more to come, said David Claypool, sales manager. “Investing in automation and employee training to improve productivity continues to be a continuous improvement effort at Lexington Manufacturing” he said. The company also invested in technology, including a panel saw and lineal flat line lamination in 2017, and an automated paint line in 2018. While reducing delivery times, “we were able to track and process multiple projects simultaneously. We never let quality slip,” said Sam Morse, president. The company, which provides exhibit fabrication services to museums, cultural institutions, private galleries, and corporate clients, also invested in a laser cutter/engraver. “Our company is starting lean manufacturing training and has experienced a major change in the way customers order,” said John Kamp, president. Business is good for the custom component manufacturer which recently invested in a Gannomat dowel insertion machine and Biesse CNC nested router, with another CNC router planned for 2018, to go with its lamination, edge finishing, assembly and packout capabilities. The cabinet and millwork firm’s 10-year lean manufacturing effort has motivated its management teams, cross training, and collaborative sales methods, said Paul Wilinski, president. In addition, Wilco invested in new technology, including a beam saw, CNC router, material handling and finishing equipment. 2017 sales grew 12.9%. 2017 sales at the custom furniture and cabinet shop grew 78.2%. “Going from a one-man shop to hiring one employee, I was able to better manage jobs and build better client relationships,” said Scott White, owner/operator. He also invested in a Unique door machine and finishing equipment. The 2018 WOOD 100 is sponsored by Pollmier Inc.